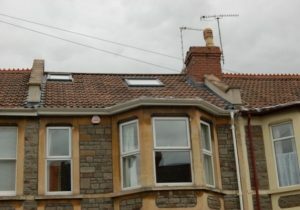 C & A Johnson Ltd is a family run loft conversion and extension company who have been designing and constructing loft conversions and home extensions in Bristol, Bath and the surrounding area for over 56 years. We have built our reputation on our quality of work and customer satisfaction. 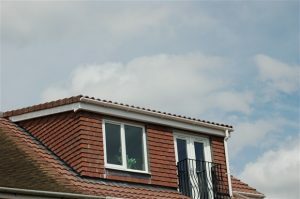 Established in 1963, you can be assured we will have the experience and knowledge base to offer a professional and reliable service for any loft conversion or extension to your home. 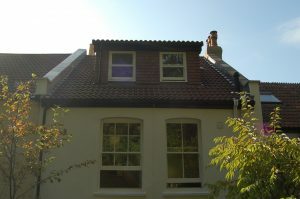 If you are considering a loft conversion or an extension to your home then C & A Johnson can guide you through the process from initial design to finished project (see below). Our reputation has been built upon over five decades of customer care and over four decades of membership of the Federation of Master Builders (view certificate of membership) and access to the “Build Assure” insurance backed warranty scheme, customers can feel secure when work is completed by C & A Johnson Ltd.
We provide a ‘no obligation’ loft and extension design service where we will develop an initial design free of charge with a full specification in order to show you as clearly as possible the potential your project has. Our company works on a turnkey service where everything is completed in house from the initial consultation, through to the final completion of building works. You can reach us via the contact form or by calling us on 0117 9569575. 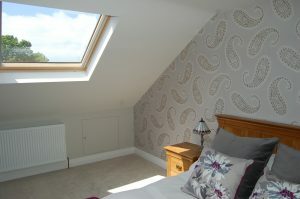 We will ask you a few details about the property and what you are looking to achieve from the Loft Conversion. We will then schedule an appointment for one of our directors of the company to visit you, discuss your requirements, and carry out a full detailed survey of the property. 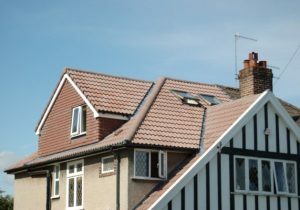 At the point of site survey we will be able to discuss your specific requirements and advise on the potential your roof space has to accommodate a loft conversion. 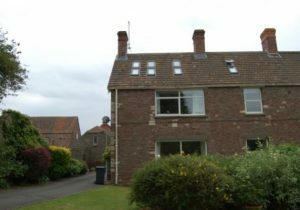 We will take specific and detailed measurements whilst we are at the property, which will allow us to produce a bespoke scaled cad design, working specification and an accurate cost for the proposed loft conversion project. 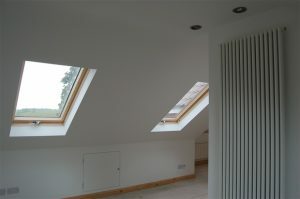 Once the provisional design drawings, specification and costs for the project has been completed, one of the directors of the company will contact you to arrange a free, no obligation revisit where you can review the provisional design drawings along with specification and cost and any questions you may have can be answered at that time. If you wish to proceed with C & A Johnson Ltd as your preferred contractor, our design team will work with you to fine tune the provisional design to suit your specific requirements in order to produce full working architectural drawings. Once the drawings are as you wish, we then complete all the administration works on your behalf which includes obtaining any planning permission required from the local council, the production of structural calculations, and seeking building regulation approval. All administration works to bring the project to fruition are provided as a complete in house service. 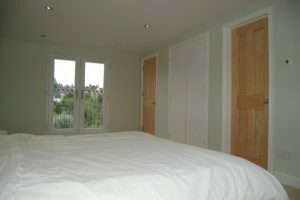 Once we have all the administration works in place for your project, we will then be in a position to commence works. 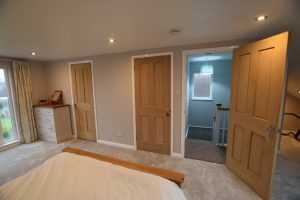 One of the managing directors of the company will visit you prior to commencement to discuss the sequence and timings of the project and will guide you through the loft conversion process providing continuous project management throughout the duration of the project. The build of the project is carried out by our directly employed qualified tradesman who are all experienced in their own specific trades. All our staff are very familiar with working within the domestic construction sector and within a family home environment. Whilst works are underway, we aim to keep disruption to a minimum by working independently within the roof space for the majority of the construction works. Upon final completion of the project you will then receive final documentation with certification issued covering the electrical installation, any gas safe works which may have been carried out along with final building control certification. 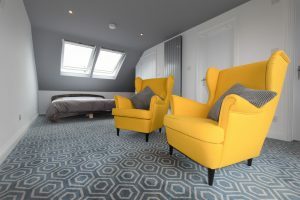 C & A Johnson undertook a loft conversion for us in 2017. From first instruction to completion our experience was excellent. 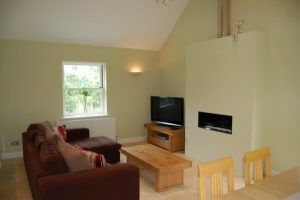 During the design stage Simon explained everything clearly and advised on the best options for the space. During the build all of the team were professional and took great care to minimise the disruption and also to provide a high quality finish. This was supplemented by project management from Tyrone who provided regular site walk arounds, therefore allowing us to make key decisions on fittings etc in an informed way as we could see the build progressing. 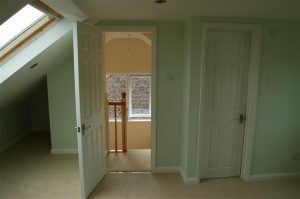 We are very happy with the final outcome and would not hesitate in recommending C & A Johnson. A tailored design and build service from the outset with precise attention to detail. A turnkey service where everything including provisional design development, architectural drawings, and all administration works necessary to bring the project to fruition is provided as a complete in house service. Experienced registered heating and electrical contractors with full certification issued upon completion of works. All works passed in full compliance with building regulation requirements with certification produced upon completion of work.